The venue is fully ADA compliant. Upgrades to this school were completed in 2016. For more specific information, including annotated floor plans, see the building’s official access guide (however, please note that this guide may not have been updated to reflect the most recent changes). 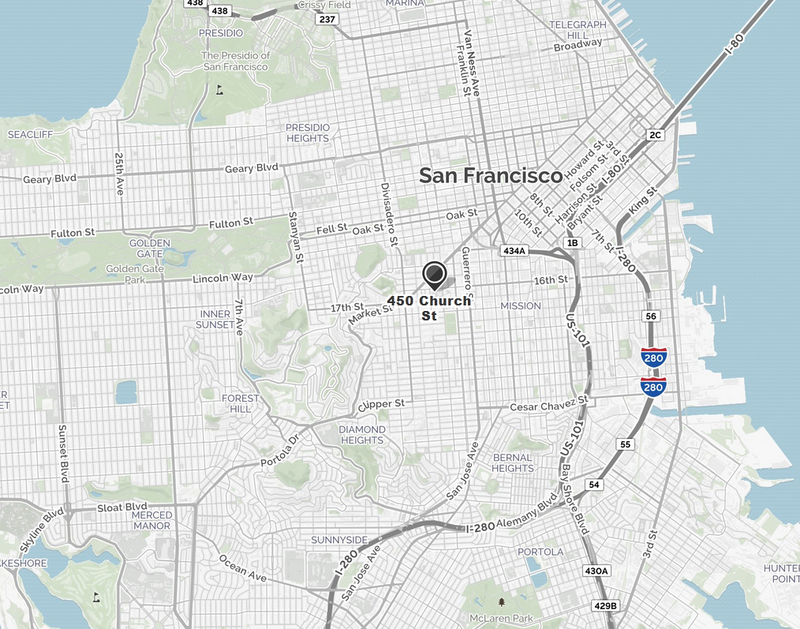 You can get to this location via the J Church Muni line, which stops right at the school. The school is a 10-15 minute walk from the 16th Street Mission BART station. Onsite parking is available, but a fee will be charged. A building map showing the locations of the workshop and performance spaces is here.